The professionals at MPM have a long history of ensuring that the equipment needs of supermarkets large and small are satisfied. MPM represents the finest manufacturers in the business. And as one of the largest equipment suppliers to, we have provided sales and service to new stores throughout the United States and Canada. MPM even equipped and serviced the third-largest store in the world (75,000 square feet! ), in Chicago’s Lincoln Park neighborhood. Find out how your supermarket can get the best equipment for the best prices by calling MPM at (847) 297-6762 or toll free at (800) 976-6762. If you would prefer, you can click the MPM contact page and submit your information. 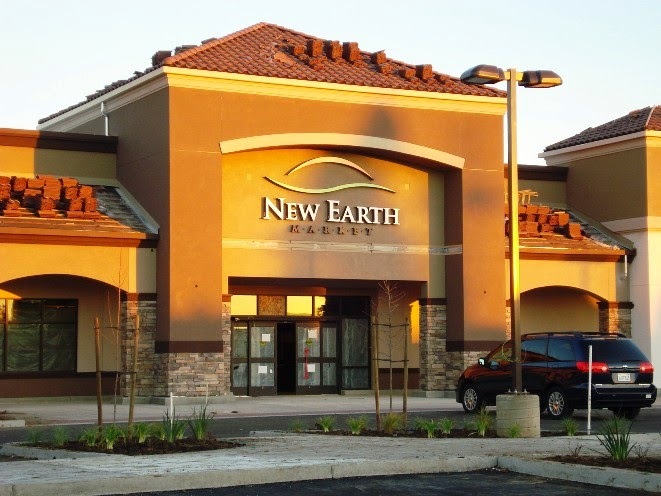 New Earth Market, one of MPM's grocery clients. MPM has also provided sales and service to supermarkets no matter what the size, such as Caputos, Sunset Foods, New Earth Market, Piggly Wiggly, Strack & Van Til, Valli Produce, and Produce World. As we say to our customers, off-load all your food equipment problems on us, and let us come up with the solutions. We even do some things that the other food equipment suppliers don’t do, like handling service and training. Call the experts at MPM for your equipment solutions, at (847) 297-6762 or toll free at (800) 976-6762, or submit your contact info at the MPM contact page.